Are you concerned that when your child goes to middle school, he or she will be overwhelmed and not make wise decisions? If so, the Guiding Good Choices® workshop is for you. Guiding Good Choices® is an interactive five-week program for all parents of children in grades 4 through 8. In a lively and open atmosphere, parents will learn specific strategies to help their children avoid adolescent problem behaviors and develop into healthy adults. Parents will learn to set clear family guidelines, as well as practice skills to strengthen family bonds, help their children develop healthy behaviors and promote children’s responsibilities in the family. The program is being offered by the Wood County Educational Service Center, through the Safe Schools/Healthy Students Initiative. Research demonstrates that children who have strong relationships with their parents develop better social and emotional competencies. These skills, in turn, help them succeed in school and make healthier life choices. • Every Thursday beginning Jan. 13, from 6:30 to 8 p.m. at Indian Hills Elementary School in Rossford. • Every Tuesday beginning Jan. 18, from 6 to 7:30 p.m. at North Baltimore Public Library. • Every Monday beginning Jan. 24, from 6:30 to 8 p.m. at Lake Elementary School. The workshops are free for attending parents. Light refreshments, child care, and door prizes will be provided each week. For more information, contact Greg Bonnell at (419) 354-9010, ext. 228. Parenting is a difficult job, and there is no instruction manual. The Parent Project was designed to connect the love and care parents have for their teens with the skills and support necessary to navigate the job of parenting. As a participant in the 8-week Parent Project® class offered by the Wood County Educational Service Center, you can expect to learn effective communication strategies and other helpful parenting skills. Additionally this series will include important information regarding adolescent depression, alcohol and other drug use and the influence of music and media on today’s youth. Presented in an educational format, parents are trained for a low fee of $20, which covers the cost of the accompanying 180-page workbook. If the entire course is completed and the parent has attended all of the required sessions, the $20 fee will be refunded. A class for teens also is offered at no additional charge. The next session will be held Tuesday evenings from January 11 through March 1, at Rossford High School. The first class will begin at 5:30 p.m. The remainder of the classes begin at 6 p.m.
For more information or to register, contact Lorrie Lewandowski, Wood County Educational Service Center, 1867 N. Research Dr., Bowling Green, OH, 43402. Phone: 419-354-9010, ext. 113. 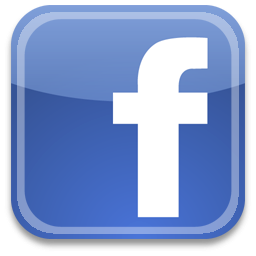 E-mail: llewandowski@wcesc.org. The local Parent Project program was featured in a radio news segment that was broadcast Jan. 27, 2010 on the Morning Show hosted by Dave Horger on WBGU 88.1 FM. Listen to the segment on BG Gizmo by clicking here. Registration will be limited to the first 30 people responding. Be the Change team members who helped organize the food drive and other Be the Change Week activities (left to right) Sara Caris, Sophia Klingbeil, Caroline Battin, Liz Stetler, and Paige Ireland, all in 8th grade. They appear with food collected at the dance and throughout the week in school, in front of the “Acts of Change wall at Otsego Jr. High School. Additional photos of the dance can be found here. On-site prevention specialist Michelle Von Lehmden collects canned food from students entering the Be the Change dance at Otsego Middle School Friday. In October, Otsego School District eighth graders participated in Challenge Day. Challenge Day encourages students to pay attention to what they do and say to people and helps them to recognize that everyone has to take care of each other…everyone has to Be the Change that they want to see in the world. Following Challenge Day, the Otsego School District celebrated Red Ribbon week Oct. 25-29, and coupled it with “Be the Change Week.” Be the Change Week is a way to continue the spirit of Challenge Day, by asking everyone in the school to do something to make a difference in their community, in their school, or in someone’s life. To celebrate their work, they held a dance that continued the Be the Change movement. Students had the option to pay a $2 entry fee, or pay $1 and bring in a non-perishable food item to be donated to the Otsego Food Pantry. The Otsego Food Pantry is housed at the First Presbyterian Church in Grand Rapids, but “we are supported by all of the churches in the Otsego School District, along with numerous businesses and organizations,” said Lisa Hatfield, co-coordinator for the Otsego Food Pantry. The Otsego Food Pantry serves anyone who lives in the Otsego School District and “surrounding edges,” who has a “stated need” for assistance. For assistance, or to make a donation, call the Otsego Food Pantry at 419-832-4214. This was the message inspirational comedian Judson Laipply brought to students throughout Wood County as part of this week’s Red Ribbon Week celebration. Laipply, who earned notoriety through the viral YouTube sensation The Evolution of Dance, told students in the Rossford and North Baltimore school districts on Tuesday that when they are asked, no young child answers that they dream of being addicted to drugs. All of the small choices they make as they experience life, however, influence whether each person will attain the goal or if their life will take another direction. Laipply’s message that “Life is Change” and that you are the master of your own destiny speaks to the heart of the Wood County Educational Service Center’s “The New Cool” campaign: Just because other people tell you that the only way to be cool is to drink, it’s just not true. Being cool has a lot more to do with who you are, what you do and how you think, than with what you drink. He illustrates his message with a performance of the Evolution of Dance, a high-energy, entertaining act that shows how dancing trends have changed through the years. The Evolution of Dance was the most-watched video on YouTube in 2007. Today, it remains in the top five. It has earned him guest appearances on Oprah, Ellen, The Today Show, and America’s Got Talent. Laipply, who was introduced to the student body in North Baltimore by Teen Institute members Tessa Reinman, Madison Fitzgerald, Ashley Baisden, Ashley Quantic, and Cody Switzer, also spoke this week at Perrysburg Junior High School, Otsego High School, Eastwood High School and at the Elmwood Community Center. His performance was funded by the Wood County Educational Service Center through the Reducing Alcohol Abuse in Secondary Students (RAASS) grant. The Children's Resource Center, Bowling Green, is offering two sessions of The Incredible Years training beginning in November. You can choose to attend sessions in either Bowling Green or Bradner. Increase children's self-esteem and self-confidence. The 12-week classes will be held each Tuesday beginning Nov. 9, from 12:30 to 2:30 p.m. at Bradner WSOS Head Start. To register for this session, contact Angie Patchen at Children's Resource Center by Nov. 3 at (419) 352-7588 or 1-888-466-KIDS. Hello everyone. I hope you are having a fantastic week as we enter Red Ribbon Week and a celebration of an alcohol-free lifestyle. New photos of the Red Ribbon kickoff and the Perrysburg homecoming and float construction have been posted at http://picasaweb.google.com/WCESCPrevention. More photos will be posted over the course of the coming two weeks of various Red Ribbon-related celebrations around Wood County, including the Teen Institute float in the Rossford Halloween parade, which happens Oct. 31, and photos of a special surprise that is coming to several schools for Red Ribbon. In a workshop series called Guiding Good Choices® being offered in communities across Wood County, parents will learn how to strengthen their bonds with their children and reduce the risk that their children will use drugs. The five-week program is being offered by the Wood County Educational Service Center. Each weekly workshop will run from 6:30 to 8:30 p.m. on respective days at the following sites. Elmwood Middle School every Tuesday beginning October 19th; North Baltimore Middle/High School every Thursday beginning October 21st; Eastwood Middle School every Monday beginning October 25th; and Indian Hills Elementary in Rossford every Thursday beginning January 13th. Studies of Guiding Good Choices have shown that the program is effective in strengthening parent-child bonds and preventing teenagers from starting to use alcohol and other drugs. An alarming number of teenagers today will use alcohol or marijuana before leaving high schools. According to the 2010 ADAMHS Wood County Youth Survey, 24% of Wood county high school seniors reported binge drinking in the past month and more than 15% report monthly marijuana use. Workshop activities are based on Hawkins’ and Catalano’s Social Development Strategy, a theory of human behavior that identifies the factors that promote social bonding and positive behavior. In a review of research conducted over the past 30 years, Hawkins and Catalano have also identified twenty factors that increase the risk of teenage drug use, as well as delinquency, teen pregnancy, dropping out of school, and violence. The series is provided by the Safe Schools/Healthy Student Initiative through the Wood County Educational Service Center. The workshops are free for attending parents. Light refreshments, child care, and door prizes will be provided each week. For more information contact Greg Bonnell at (419) 354-9010 ext. 228. Most of us in the field, working with high-risk youth know that parent involvement is the key to behavior change with difficult, behaviorally disordered adolescents. Yet, effectively educating parents in basic behavioral strategies is time consuming and repetitive. The Parent Project® is a parent training program designed for parents of strong-willed adolescents (those sometimes referred to as oppositional defiant, or conduct disorder). Since 2003, nearly 250 parents have attended Parent Project in Wood County and they report that there is important information for all parents of teens. Presented in an educational format, parents are trained for a low fee of $20 for the accompanying 180-page workbook “A Parents’ Guide to Changing Destructive Adolescent Behavior.” There is no cost for the training itself. If the entire course is completed and the parent has attended all of the required sessions, the $20 fee will be refunded. Parents attend 18 hours of instruction for a cost of less than one session of private counseling. The next session will be held Tuesday evenings from Sept. 21 through Nov. 16 at the Wood County Educational Service Center, 1867 N. Research Dr., Bowling Green. The first two classes will run from 6 to 9 p.m. The remainder of the classes run from at 6 to 8 p.m. The Children's Resource Center, Bowling Green, is teaming with Tender Age Daycare Center, located at 1249 Ridgewood Drive, Bowling Green, to offer The Incredible Years training. The 12-week classes will be held each Monday beginning Sept. 13, from 5:30 to 7:30 p.m. at Tender Age Daycare Center. Register by September 10, by calling Angie Patchen at the Children's Resource Center at (419) 352-7588 or 1-888-466-KIDS. Hannah Jacobs (left) and Jessy Schulte (center) listen to Lorrie Lewandowski speak about the 2010 ADAMHS Youth Survey. Three of the New Cool campaign posters can be seen hanging on the wall. The Communities Mobilizing for Change on Alcohol Task Force, part of the Wood County Educational Service Center’s Alcohol Tobacco and Other Drug (ATOD) program, heard good news about the fight against underage drinking in Wood County when they met Monday evening. Lorrie Lewandowski, director of the Reducing Alcohol Abuse in Secondary Schools (RAASS) Grant, noted that according to the 2010 Wood County youth survey, not only has alcohol use declined, but it was the fastest rate decline between any two years since the survey began in 2004. On Monday, task force members learned that during an Alternative Activities Subcommittee meeting, members discussed the idea that maybe one of the reasons youth resort to alcohol use is due to boredom. They also discussed the possibility that it may not by an issue of lack of alternative activities, but instead that teens don’t know what is available to them. To address that, the committee invited Shelen Stevens, director of the Weston and Grand Rapids public libraries and the survivor of an automobile accident caused by a drunk driver that killed both of her parents, to discuss library calendars. The library, she said, has proven to be a popular hangout for youth. The Weston library had 289 teens participate in the summer reading program. On a typical summer day this year, there were 48 students in the library. The task force will be working on ways to use the library to find alternative activities for students. As part of that positive approach, inspirational posters are hanging in schools and are making their way into Wood County communities with the help of the task force members. Task force members also learned that the CMCA Street Team was active at area fairs and festivals during the summer months. Street team members include current and former high school students who talked with community members about their attitudes regarding underage drinking. To gather this information, Street Team members encouraged residents to gather surveys. Street Team member Jessy Schulte said that a lot of people who filled out the survey talked openly about their answers. At the Wood County Fair, 91 percent of those who filled out the survey viewed underage drinking as a problem. “We’d get a range from ‘it’s fine in our house’ and ‘if you can be in the military, you can drink,’ to ‘if you’re not 21, you aren’t allowed to drink,’” said Schulte. ‘There were a lot of people who said they allowed their kids to drink but only at their own house,” added Street Team member Hannah Jacobs. The next task force meeting will be held Nov. 15, from 6:30 to 7:30 p.m. at the Wood County Educational Service Center. The Wood County Educational Service Center’s alcohol prevention program had a display booth at the Wood County Fair to survey attendees on their perception of underage drinking in Wood County. The surveys were conducted by the Communities Mobilizing for Change on Alcohol (CMCA) Street Team. This team is comprised of teen leaders from Wood County schools who are promoting the media campaign, The New Cool. This campaign, which will go into full swing with the beginning of the school year, is designed to engage youth to make positive choices as alternatives to underage drinking. Fun giveaways and coloring pages were also part of this booth that had lots of participation from Wood County children, teens and adults throughout the day. Breanna wrote that she likes cats and gymnastics, and is good at swimming. Other youth who finished the sentence this week wrote said they enjoy swimming, going to grandma’s house, fishing, camping, going to the fair and walking. The idea of the worksheet was to get youths to think of ways to enjoy life while alcohol-free. Melissa Haylett, of Bowling Green, said she doesn’t see a lot of underage consumption. “It appears she’s right,” said Debbie Marinik, the community organizer for the Reducing Alcohol Abuse in Secondary Schools (RAASS) grant through the Wood County Educational Service Center, which funds CMCA and the street team. “From the latest alcohol survey this year, alcohol use from grades 7 through 12 is definitely down in Wood County in comparison to national figures. But we still have a lot to do. People who took the survey were invited to be a part of the Communities Mobilizing for Change on Alcohol Task Force to work on the problem of underage alcohol use in Wood County. The next task force meeting will be held Aug. 30, from 6:30 to 7:30. The street team is an important segment of the New Cool campaign. “I heard about Teen Institute and I went to the meetings,” said Kelsey Long, who will be a sophomore at Eastwood High School. “I just kept going,” and became more involved in leadership roles, including The New Cool Street Team. The New Cool Street Team will also have a booth at the Pemberville fair. Jayden Haylett, age 6, left, and Brenna DeVall, age 8, participate in youth activities at the Wood County Educational Service Center’s Communities Mobilizing for Change on Alcohol booth at the Wood County Fair Sunday. 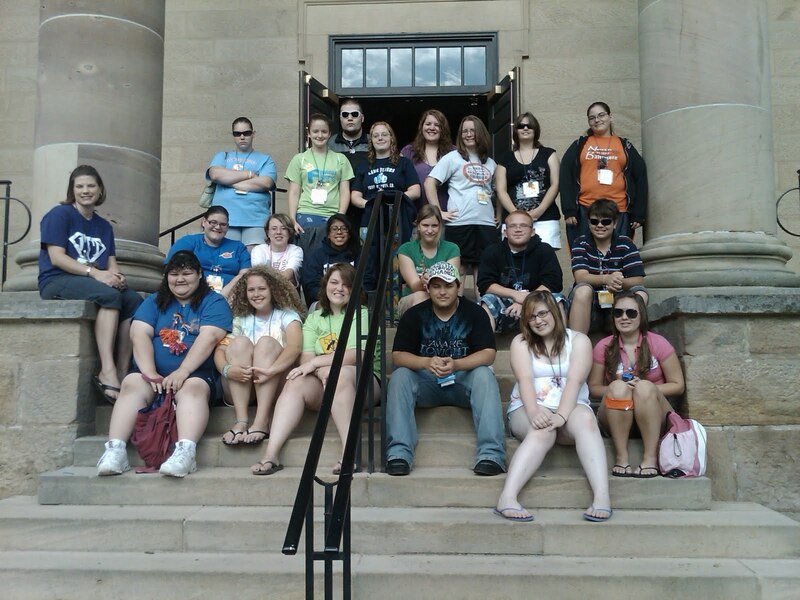 Seventeen youth from throughout Wood County attended the Ohio Teen Institute Leadership training program. The event was held July 18-22 at Kenyon College in Gambier, Ohio. Students who attended included Kandie King, Amber Studyvin, and Breanna Reardon, all from Lake; Diamond Lorenc and Jeremy Teneyck, both from Penta Career Center; Ashley Baisden, Jessica Simon, and Jennifer Noykos, all from North Baltimore; Carli Kehres, from Eastwood; Kaylyn Haynes, Andrea Howard and Dustin Boltin, from Northwood; Christina Hohman, Bridget Cushard, and Emily Gerken, from Bowling Green; and Katie Rodriguez, and Emily Cohen, both from Rossford. All students were able to attend through scholarships provided by the Wood County Alcohol Drug Addiction and Mental Health Services (ADAMHS) Board through the Wood County Educational Service Center’s alcohol, tobacco and other drug prevention program. The students are members of the Wood County Teen Institute programs offered through their schools. Through the program, students develop skills to become positive leaders within their schools and communities. They also are equipped with the knowledge and abilities to not only make positive choices for themselves, but also to encourage their peers to make healthy choices. Throughout the week, students participated in small discussion groups, attended workshops, listened to motivational speakers, and participated in a talent show. The week-long program also included training for adults interested in or currently working with youth. ATOD on-sites Michelle Von Lehmden (Otsego) and Tonya Lentz (Elmwood) attended state T.I. for this advocate training. On-site Jeanine Lindquist (Lake) attended as a State T.I. staff member. Former Wood County T.I. members J.C. Gospadarek, Sean Williams, and Sarah Rutz; and current North Baltimore T.I. member Ashlee Quantic, also attended as youth staff. Wood County T.I. members and leaders at State T.I. training. On Saturday, July 17, the Wood County Educational Service Center participated in Bradner Day in the Park. The Wood County Educational Service Center had a booth at the event to survey attendees on their perception of underage drinking in Wood County. The surveys were conducted by the Communities Mobilizing for Change on Alcohol Street Team. This team is comprised of teen leaders from Wood County schools who are promoting the media campaign, The New Cool. This campaign, which will go into full swing with the beginning of the school year, is designed to engage youth to make positive choices as alternatives to underage drinking. The New Cool Street Team will also have a booth at the Wood County and Pemberville fairs, both in August. Photo: The New Cool Street Team members (from left) Emily Nelson, Jessy Schulte, and Hannah Jacobs look on as a community member fills out a survey. The Children's Resource Center, Bowling Green, is teaming with the Jordan Family Development Center, located on the campus of Bowling Green State University, to offer The Incredible Years training. The 12-week classes will be held June 29; July 6, 13, 20, 27; Aug. 3, 10, 17, 24, 31; and Sept. 7 and 14. Each class will be held from 5:30 to 7:30 p.m. at the Jordan Center, located at 812 N. College Dr., Bowling Green, Ohio. Register by June 23 by calling Angie Patchen at the Children's Resource Center at (419) 352-7588 or 1-888-466-KIDS. On June 10, 73 Wood County students who are members of Teen Institute were awarded for their hard work throughout the year with a trip to Cedar Point. Teen Institute emphasizes peer leadership and positive life skills development. Members must commit to being drug free. There is a Teen Institute group in each Wood County high school. This year, area Teen Institute members participated in two area retreats as well as helped facilitate a retreat for the members of Junior Teen Institute which is open to junior high students. Members also worked with Red Ribbon efforts in their individual districts, as well as other local drug free leadership activities., including an effort to send toiletry and food items to our troops overseas and various fundraising efforts to support the Cocoon Shelter in Bowling Green. Teen Institute is a program offered through the Wood County Educational Service Center. Funding is provided by the Wood County ADAMHS (Alcohol Drug Addiction Mental Health Services) Board and ODADAS (Ohio Department Alcohol Drug Addiction Services). The six school districts involved with the Federal Grant for Drug Testing in the Schools through the Wood County Educational Service Center recently concluded another year of testing. To determine the impact of the drug testing program, the students were asked to complete a survey to determine attitudes. The results were compared to last spring's survey results and the outcomes were dramatic. Monthly marijuana use decreased from 7 percent to 3.6 percent, while monthly alcohol use decreased from 15.4 percent to 9.8 percent. Yearly use of marijuana was even more pronounced, decreasing form 10.6 percent to 6.5 percent, with yearly alcohol use decreasing by more than 10 percent, dropping from 31.6 percent to 21 percent. To put this in perspective, the 2009 National Partnership Attitude Tracking Survey found that marijuana use by students in grades 9-12 increased by 19 percent for yearly use, and monthly alcohol use increased by 11 percent. The survey seems to indicate that the expanded drug testing, made possible by the grant, has been very effective in changing not only attitudes, but actual student behavior. Bowling Green High School's Teen Institute is proud to announce that three Bowling Green High School students have been chosen to attend the state-wide Ohio Teen Institute conference. Seniors Bridget Cushard, Emily Gerken, and Christina Hohman will represent BGHS at the event which will take place at Kenyon College from July 18-July 22. Ohio Teen Institute (OTI) is a week long drug free leadership conference for high school students. Through the program, students develop the skills to become a positive leader within their schools and communities. Students are also equipped with the knowledge and abilities to not only make positive choices for themselves, but also to encourage their peers to make healthy decisions. The next session will be held Tuesday evenings from July 8 through August 26 at the Wood County Educational Service Center, 1867 N. Research Dr., Bowling Green. The first class will begin at 5:30 p.m. The remainder of the classes begin at 6 p.m. The Wood County Youth Survey Dr. William Ivoska presented the 2010 Wood County ADAMHS Youth Survey report on Friday, May 14 at Owens Community College. Nicotine use has decreased nationally since 1996. Wood County showed similar decreases in monthly use, however the use of smokeless tobacco rose among 11th and 12th grade males. Annual and monthly use of alcohol declined dramatically at a faster rate than the national rate. Binge drinking declined in all grades. In contrast to recent national studies, marijuana use continues to decline in all grades for 30-day use. Minor increases were reported in annual marijuana use in 11th and 12th grades. Wood County reports lower than national rates. Inhalant use increased in grades 5, 6 and slightly in 10. Rates declined in all other grades. Ecstasy use showed a sharp increase in 10, 11, and 12th grades (12th – 3.5%-5.5%). Findings parallel the 2009 Partnership for a Drug Free America study. Methylphenidate and Amphetamine (Ritalin, Concerta, Adderall) are at their lowest levels in grades 7-10. Increases were reported in grades 11 and 12. LSD is at the lowest levels ever reported in Wood County, except for grade 12 where increases were reported. Wood County rates are higher than the national averages in grades 10, 11, and 12. Narcotic Painkillers have remained steady since 2004. The use of painkillers among high school ages youth appears considerably higher than the national average. Cocaine use remains low except for higher than national rates for high school seniors. Cough medicine rates have not changed, however there is cause for concern as rates are much higher than the national averages. The Wood County Youth Survey reported students who received Life Skills Training reported lower rates of substance use among a broad range of substances. Dr. Ivoska explained that prevention efforts appear to be effective in reducing substance use with findings that high school juniors and seniors who received Life Skills Training were less likely to use substances than were teens at lower grade levels. The more teens indicate that they experience internal or external distress, the more likely they are using alcohol, tobacco, and other drugs. Youth report a decrease in significant (7.8%) and moderate (15.4%) mental health problems. Verbal bullying is the most prevalent form of bullying for Wood County youth were 33.6% report being victims. Cyber and physical bullying is experienced by 11% of youth. Victims of bullying are more likely to report substance use, moderate, severe, or intense mental health issues, and more likely to think about suicide. Communities Mobilizing for Change in Alcohol (CMCA) Task Force CMCA has been working on a media campaign, The New Cool, and we hear it’s creating quite a buzz. One of the components of this campaign which is designed to change the perception that NOT drinking is cool, not the other way around, is having posters in all the Wood County high schools that contain positive messages and have images of kids making good choices and having fun while being alcohol free. Since the posters were not finished until spring it was decided to have them in schools at the start of the school year rather than the end of this year. To get people to anticipate the campaign we have “teaser” signs, the size of bumper stickers, up at all the schools. These signs feature our new cool logo and say “Coming Fall 2010…The New Cool”. We hear that many people have noticed them and have been asking what they mean. The second part of the media campaign is the New Cool website that is being developed and is anticipated to go live sometime late summer. CMCA Street Team Fourteen drug free Wood County youth will represent Communities Mobilizing for Change on Alcohol as the youth voice of reducing underage drinking. Plans are for 2 training sessions to be held this summer to get these team members ready to man the booths at several fairs in the county and survey attendees about underage drinking, access availability of alcohol in various Wood County stores, and work on other alcohol awareness projects. Parents Who Host Lose the Most The 2010 campaign kicked off with a parent meeting in April and signs with the “Parents Who Host” logo and local law enforcement numbers have been posted around the county. There are a number of different signs including 16’ outdoor banners, 4’ indoor banners, and outdoor realty signs posted in the front lawns of schools, homes, and businesses. Teen Institute at BGHS through the Wood County Educational Service Center’s School and Community-Based Alcohol, Tobacco and Other Drug (ATOD) prevention program is proud to be a part of the environmental awareness campaign, "Parents Who Host, Lose the Most." Drug-Free Action Alliance has developed the "Parents Who Host, Lose The Most: Don't be a party to teenage drinking" public awareness campaign to provide parents with accurate information about the health risks of underage drinking and the legal consequences of providing alcohol to youth. The campaign encourages parents and the community to send a unified message at prom and graduation time that teen alcohol consumption is not acceptable. It is illegal, unsafe, and unhealthy for anyone under age 21 to drink alcohol. In the past, the Alcohol, Tobacco and Other Drug (ATOD) prevention program has had a very brief description listed on the Educational Service Center's Web site. However, the prevention team members did not think the program was properly represented, so we set about trying to create a Web site that explained who we are and what we do. We are excited to have this new Web site up and running, and we welcome any and all comments and suggestions. We would love to hear from you! Be on the lookout for more excited news regarding the prevention program and Web sites in the very near future! So often, parents and teens don’t know how to talk to each other. Simple discussions quickly turn into arguments and confrontations. Dialogue Night is an activity funded by the Reducing Alcohol Abuse in Secondary Schools (RAASS) grant from the Wood County Educational Service Center. Traditionally offered to high school students and their parents, the program was offered to middle school students in the Otsego school district on March 9. More than 80 people attended the event. The goal of the evening was to teach parents and youth how to talk and listen to each other about a variety of subjects in a calm, respectful manner. During Dialogue Nights, parents and their children are separated into different groups so they each have the opportunity to speak freely about the subjects. Each group has both a youth and adult facilitator to ensure all parties feel listened to and their opinions are valued, not challenged. Topics are chosen by the youth, as well as by adults from the community. Some of the topics discussed at the Otsego Middle School Dialogue Night included whether junior high students should have cell phones; whether junior high students should date; and the pros and cons of Facebook and MySpace. It is the goal of Dialogue Night that a conversational comfort level will be reached and parents and teens will consequently be more inclined to talk together in the future. On Tuesday, March 23, at 7 p.m., the community of Bowling Green will have a Town Hall Meeting about teenage alcohol usage and driving. It will take place in the new Bowling Green Schools Performing Arts Center, located at 540 W. Poe Rd. on the high school/middle school campus. There will be a panel of local experts ready to answer your questions about drunk driving, underage drinking, and how it is affecting our community. Local agencies will also be on hand passing out valuable information for parents who are looking for extra help for their students. Both parents and students are encouraged to attend. There will be a raffle for prizes such as a Nintendo Wii, as well as an academic incentive for students who attend. Please contact Missy Stott, the Bowling Green school's prevention specialist from the Wood County Educational Service Center, at (419)308-9096 for additional information. Approximately 40 youth leaders from schools throughout Wood County gathered at the Elmwood Community Center in Jerry City Ohio Saturday for the annual Teen Institute Winter Retreat. Students representing the Bowling Green, Eastwood, Lake, Elmwood, North Baltimore, Northwood, Otsego, Perrysburg, and Rossford school districts, as well as Penta Career Center, attended the event. Teen Institute is a youth leadership initiative that empowers area youth to develop skills and strategies to send a strong “no use message” and impact drug use reduction in their schools and their communities. Throughout the course of the Saturday event, youth attended education classes, leadership training events and fun filled drug free activities. Margie Harris from the Arc of Wood County presented information on the only preventable cause of mental retardation, FASD Fetal Alcohol Spectrum Disorders. The youth also shared creative ideas for the Junior Teen Institute (JTI) retreat, which will occur March 19 in Rossford. During that retreat, Teen Institute members will lead some of the programs and be role models for a drug- and alcohol-free lifestyle in their schools. Funding for the retreat was made possible from the AHAMHS Board, Wood County Educational Service Center, and ODADAS. Prevention Specialists from the Wood County Educational Service Center Alcohol Tobacco and Other Drug (ATOD) Prevention Program organized and chaperoned the event. Everyone -- including adults and students of any age -- is invited to attend the media campaign meeting. The meeting will be held Feb. 22 at 3:30 p.m. at the Wood County Educational Service Center. During the meeting, we will review new art concepts from graphic designer John Haskins. Your input is important! See you there! The Wood County Educational Service Center's Parent Project program was featured in a radio news segment that was broadcast Jan. 27, 2010 on the Morning Show hosted by Dave Horger on WBGU 88.1 FM. The Parent Project® is a parent training program designed for parents of adolescents who act out. Topics include reducing family conflict and arguing, improving school performance and attendance, identifying and intervening with alcohol and other drug abuse, interceding with negative peer associations (including inappropriate dating relationships up to and including frank gang involvement) and helping parents to set effective applicable limits. Listen to the segment on BG Gizmo by clicking here.